Chances are good that if you know any kids…or teens…or Millennials or Gen Xers…or basically anybody under 50, somebody on your Christmas list is going to hit you up for a retro gaming system. Sure, it’s not going to run the new “Spider-Man” game or “Red Dead Redemption 2,” but this recent wave of interest in retro consoles is powered by two huge selling points. First, they’re pure mainlined nostalgia. Second, their price tags of $60 to $100 clock in well below the $300 to $500 for new PS4 or Xbox One consoles. 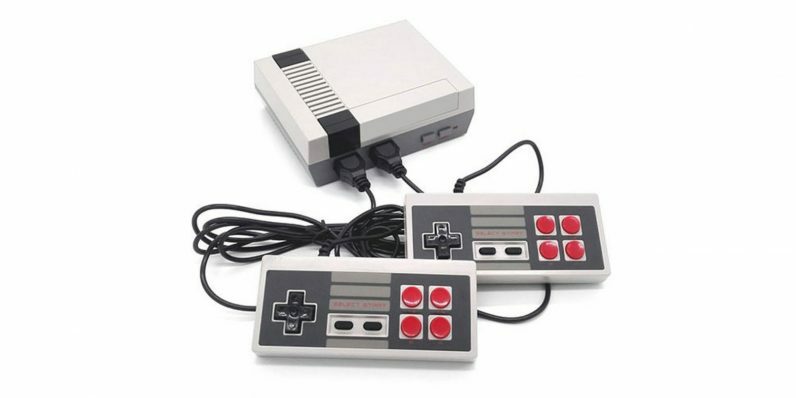 While the red hot NES and SNES Classic editions come with a few dozen great vintage games, Neva Tech’s Retro Gaming Console dwarfs that, preloaded with over 600 games. It also comes with an additional price drop all the way down to $49.99, 83 percent off, from TNW Deals. And at 600 games, the roster of titles is just insane. If you’re a Mario fan, you’ll find 25 different Mario games, including Mario Brothers and Super Mario Brothers volumes 1, 2, and 3. Into Contra? There are nearly a dozen different Contra games. If classic Nintendo and Sega console hits are your jam, there’s Double Dragon, RoboCop, Street Fighter, Mortal Kombat, FIFA, Sonic, Ghostbusters, Teenage Mutant Ninja Turtles and more. If your tastes run even further back, you can gorge on 80s arcade titans, including Pac Man, Donkey Kong, Galaga and Dig Dug, among countless others. Regularly $299.99, the Retro Gaming Console is just $49.99 with the huge limited time discount. When else could you pick up classic games at less than 20 cents each? That’s less than it cost to play Space Invaders back in 1978. With this deal, you can own it for less.